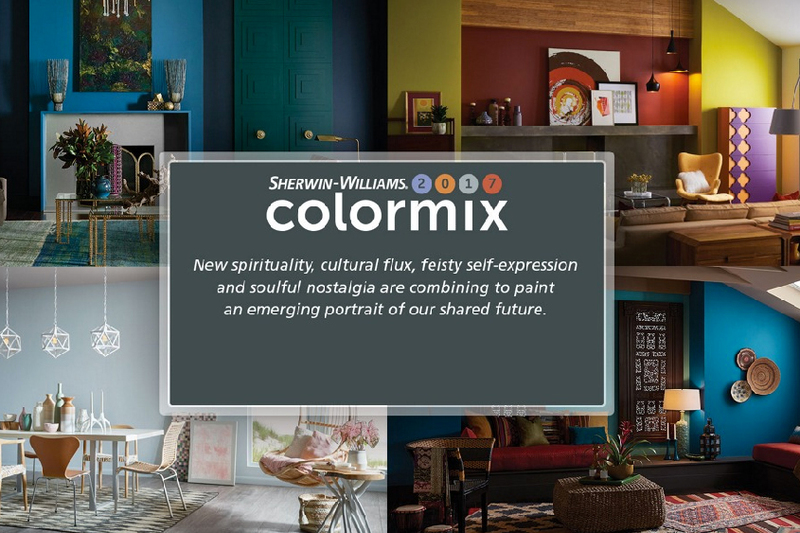 Sherwin-Williams Colormix 2017: The Sherwin-Williams Color Forecast projects a sense of restlessness that will translate to color in new ways next year. With the backdrop of an ever-changing societal and cultural landscape, the four color palettes that make up the year’s forecast share a vision of renewed spirituality, body and soul nourishment and a determination to define a sense of self. 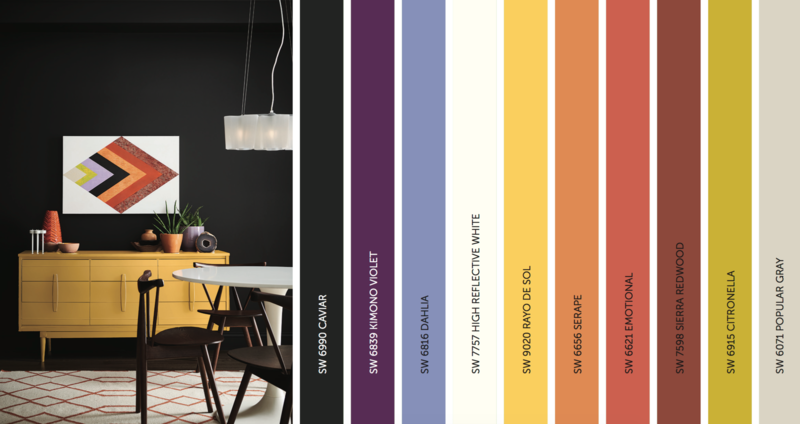 The Sherwin-Williams team of design and color experts developed the 2017 forecast based on extensive research and insights into global trends. The team’s four palettes, named Noir, Holistic, Intrepid andUnbounded, each consist of 10 colors. 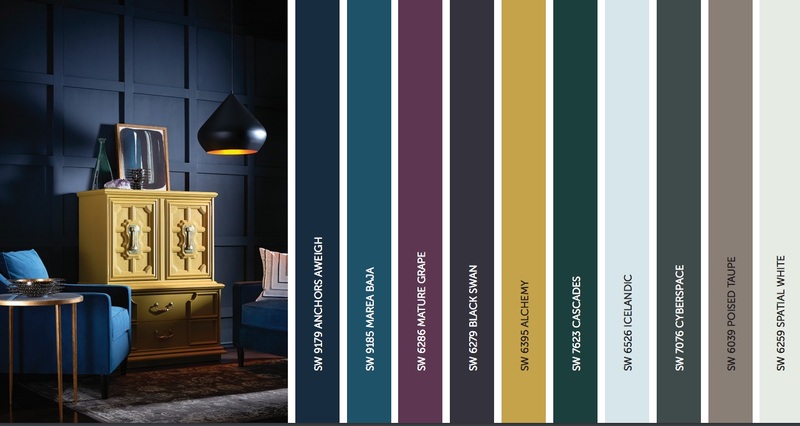 Driven by baroque and romanticism trends, a renewed interest in faith and spirit and celebration of the night, the Noir palette is rich with colors that evoke vine-ripe fruits, Nordic blues, moody neutrals and golden yellow. This stark style looks completely modern in residences or commercial properties. Sustainable design and transparency are the new standards. Doing good is the new looking good, and it’s taking the form of healing retreats and eco-travel. 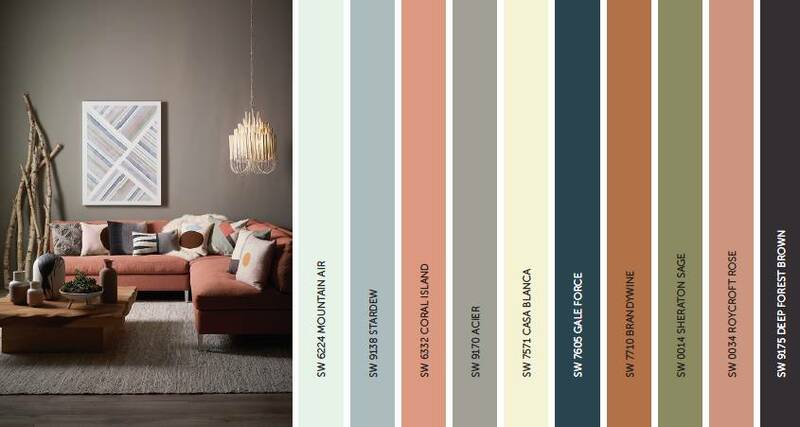 The colors of this holistic palette include arctic neutrals, blush rose, wild browns and forest floor green. The virtual and the real are blurring in the form of a seamless commerce. Impatient for social and political change, individuals are continually reinventing themselves. Youth culture and global collaboration lead to a feisty energy, which influenced this retro palette, including fiery oranges, vibrant kimono colors and the simplicity of black, white and gray. Global immigration is redefining national identities. Brands are becoming more purpose-driven, and communities more connected. Design is adapting to more diverse populations. Global consciousness is captured in this palette’s earthy mustards and browns as well as ocean blues and corals. 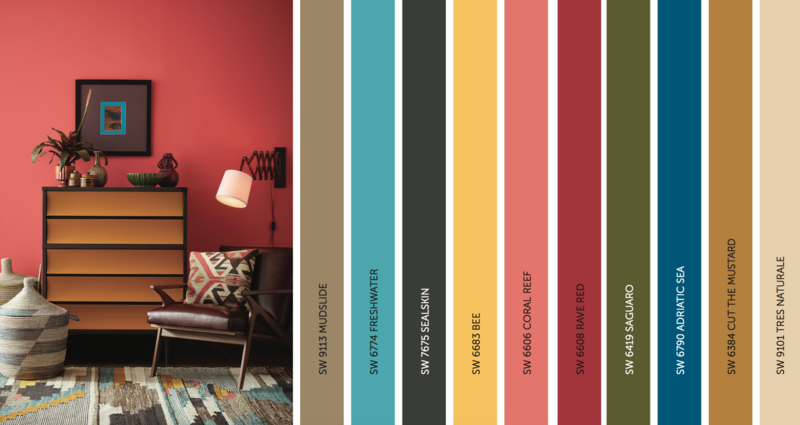 “This earth and spice palette tells the story of how migration is forcing cultures to mingle and share a collective ‘we.’ Audacious colors in combination with a confluence of foreign patterns and exotic textures can create a look that is striking and entirely new,” said Wadden.